Luck 9 is an exciting card game similar to Baccarat commonly played at home. To win in a Lucky 9 game, the player's hand must out-value the banker's hand. To do this, a player must draw a hand that totals 9, or as nearest to 9 as possible, just like in Baccarat. When the total of a hand exceeds 9, the value is adjusted by subtracting 10 from the total. 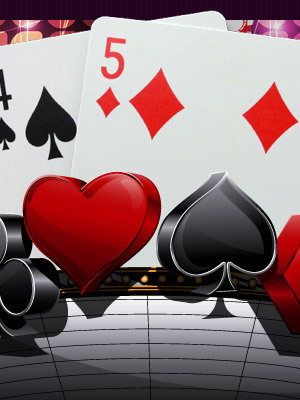 For example, if a player draws an eight of spades and a seven of hearts, his hand value becomes five (8 + 7 – 10 = 5). Tens and face cards (jacks, queens and kings) are worth zero, aces are worth one, and all other cards are worth their face value. There is no special equipment needed to play Lucky 9. Moreover, Lucky 9 can be played practically anywhere - in the living room, bedroom, on your kitchen table, even inside the car while you are traveling! As long as you have a complete set of cards and there's a place where the cards can be dealt, you can play Lucky 9. At the beginning of each Lucky 9 card game, the dealer prepares the cards by thoroughly shuffling them. The cards are cut by a player and then the dealer, starting on the player to his right, deals a card face down to each player and to himself. Once everybody gets their first card, the dealer distributes a second card to each player and himself until everyone gets a total of two cards. 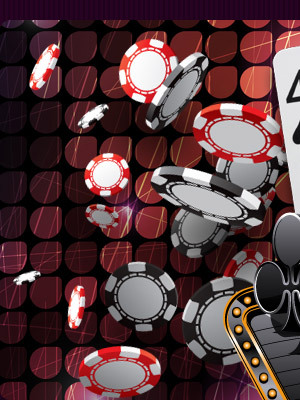 The players, at their discretion, can look at their cards while the dealer is distributing the cards to other players. Hands that have a total of 9 are called "naturals." For example, a hand that has a two of spades and a seven of hearts has a total of 9; the hand is therefore called a natural. If a player gets a natural, he should immediately show his hand to the dealer. The dealer then announces the total, and the hand is placed in front of the player. If the dealer does not have a natural, the player wins. However, if the dealer also has a natural, it is considered a stand-off, draw or a tie. If the dealer has a natural, and no other player has a natural, the dealer wins. If neither the players nor the dealer draws a natural, they can either "stand" or make a "hit" (draw a third card). This is where strategy comes to play, and where the fun and excitement in Lucky 9 starts. 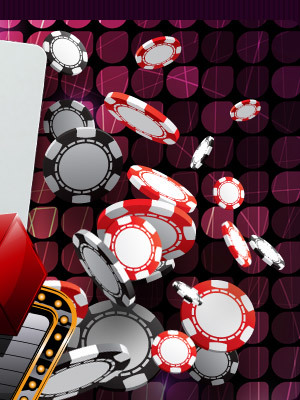 Unlike Baccarat, Lucky 9 does not have strict rules for drawing a third card. It's entirely up to the players and the dealer whether they'll "hit" or "stand". Remember, a hand can become much less favorable after a "hit". For example, if your first two cards have a total of five and the third card you draw is the seven of diamonds, your hand total becomes 12. Since the hand exceeds 9, the value is adjusted by subtracting 10 from the total. Therefore, your hand value is reduced to two. The player on the dealer's right gets to decide first whether he'll "stand" or "hit"; followed by the player to his right, and so on and so forth. Then when all the players have made their decision, it's the dealer's turn to choose whether he'll "stand" or "hit". The dealer then asks the players to reveal their hands and then shows his own hand. The total of each of the players' hand is compared to the total of the dealer's hand. If the total of a player's hand is closer to 9 than that of the dealer's, the player wins. However, if the dealer's hand is closer to 9 than that of the player's, the dealer wins. If a player and the dealer has the same hand total, it is considered a stand-off, draw or a tie.